Michael has headed the Dubai Commercial & Property practice at Hadef & Partners for over ten years. He has over 20 years of extensive experience in general corporate commercial matters including specific expertise in information technology, intellectual property, real estate, telecommunications, commercial contracts and airline law. He regularly advises major local and international corporate clients on all general legal requirements including corporate structuring and commercial constraints, and is treated as a trusted commercial adviser by many of his close clients. Michael’s team has advised many of Dubai’s and the world’s largest real estate and hospitality developers. His team also advises on franchising and commercial agency as well as varied technology, communications and media related contracts. Prior to moving to Dubai, he was Commercial Director and General Counsel for a software technology company based in London and worked as Company Solicitor for Air New Zealand. He completed a Bachelor of Commerce and Bachelor of Law (Hons) at Auckland University in New Zealand. He is admitted as a Barrister and Solicitor of the High Court of New Zealand. Clients of Michael Lunjevich describe him as having “strong negotiating skills”, adding that he “provides quick turnaround and understands our business well”. Michael Lunjevich is “thoroughly recommended” and “a highly accomplished lawyer who gives us a very commercial understanding of issues,” say sources. 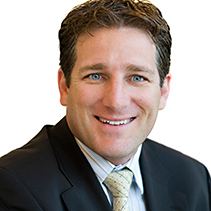 Head of property Michael Lunjevich is a well-known name for commercial transactions in the real estate sector. Clients describe him as "one of the best property lawyers in the country - very sharp when advising on complicated real estate issues." Clients praise Michael Lunjevich: "He really thinks outside the box. He doesn’t over-complicate things, thinks fast on his feet and gets the point straight away." He heads the practice in Dubai and focuses on IT, IP, telecommunications and commercial contracts. Michael Lunjevich, Head of Property in Dubai, discusses a practice of linking debts between properties held in one’s personal name with those held by companies. Hadef & Partners has reviewed the English and Arabic versions of the recently released draft Investor Protection Law. The Law has many positive protections for investors, however, these are focused on addressing the balance on disclosure requirements and delivery requirements in favour of investors for off-plan property. Nevertheless, one of the articles of the draft Dubai Investor Protection Law may contain an ominous sign for the ability of owners to control their common areas after delivery. In 2007 it was clear that His Highness Mohammed bin Rashid Al Maktoum, the Ruler of Dubai and Vice President of the UAE, had a vision for Dubai to implement world class standards in respect of service charges for jointly owned property. However, nearly five years later, many investors are still wondering what has become of the great promise of Law No. 27 of 2007 on Jointly Owned Property (“JOP Law”), and many remain in the dark as to what the service charges they pay are used for. In the UAE, the concept of franchising can fall within the context of the UAE Agency Law if the franchise agreement is ‘registered’ as per the requirements of Federal Law No. 18 of 1981 on the Organisation of Commercial Agencies as amended (hereinafter referred to as the “Agency Law”). The Agency Law does not make any distinction between agency, franchise or distribution agreements. WHAT HAS BECOME OF THE CITY OF DREAMS? Michael Lunjevich and Ashraf Sayed assess the strengths, weaknesses and opportunities of the Dubai real estate market. PROPERTY SECTOR: DO DIRECTORS NEED TO CONSIDER PERSONAL LIABILITY ISSUES? Michael Lunjevich takes a closer look at what limited liability may really mean for company directors. When evaluating a franchise opportunity, prospective franchisees must consider important legal and commercial factors before signing on the dotted line. Melissa Murray highlights the following as a starting point for clients when preparing their business plan.